Hurricane Michael was one of the most powerful hurricanes to strike the United States in several years. This storm caused extraordinary damage to homes and businesses in the Florida panhandle region. Even homes that were not in the direct path of the strongest portion of the hurricane experienced significant damage. Seeing the damage that this hurricane caused to the property of Florida residents, now is the time to take action to protect your home or business. 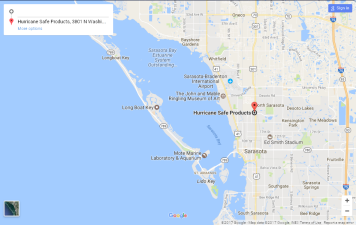 Hurricane Safe Products offers a wide range of products designed to make your home or businesses safer when the damaging winds of hurricanes strike. Rolling shutters can pull down and cover the front of businesses protecting the doors and windows from breaking and keeping the contents safe. Hurricane impact windows are designed to protect your home from debris flung around by strong windows. Hurricane Safe Products has many solutions to help protect homes and businesses. Contact Hurricane Safe Products and find out how hurricane protection products can benefit you.